If you have a chandelier design that is not on our fibre optic chandelier list please forward it to us here @ signbuyer.co.uk. We can quote you within 48 hours of receiving your design and specification. Bespoke fibre optic chandeliers manufactured to order. 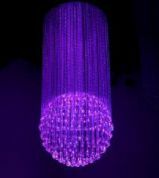 Our fibre optic chandelier HALF ECLIPSE will shine beautiful colours in your Restaurant, Bar, Office, Lobby or even home. This fibre optic Chandelier is stunning giving an expensive colourful feel @ a reasonable price. Our fibre optic chandelier HELTA SKELTA will shine beautiful colours in your Restaurant, Bar, Office, Lobby or even home. This fibre optic Chandelier is stunning giving an expensive colourful feel @ a reasonable price. 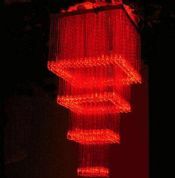 Our fibre optic chandelier LUD SQUARE will shine beautiful colours in your Restaurant, Bar, Office, Lobby or even home. This fibre optic Chandelier is stunning giving an expensive colourful feel @ a reasonable price. Our fibre optic chandelier PYRAMID will shine beautiful colours in your Restaurant, Bar, Office, Lobby or even home. This fibre optic Chandelier is stunning giving an expensive colourful feel @ a reasonable price. 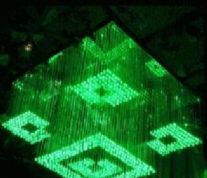 Our fibre optic chandelier RARE SQUARE will shine beautiful colours in your Restaurant, Bar, Office, Lobby or even home. 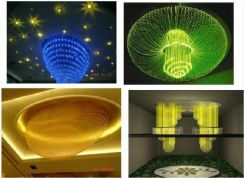 This fibre optic Chandelier is beautifal giving an expensive colourful feel @ a reasonable price. Our fibre optic chandelier THE BALL will shine beautiful colours in your Restaurant, Bar, Office, Lobby or even home. 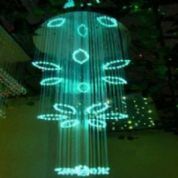 This fibre optic Chandelier is beautifal giving an expensive colourful feel @ a reasonable price. Our fibre optic chandelier THE DROP will shine beautiful colours in your Restaurant, Bar, Office, Lobby or even home. 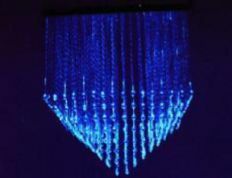 This fibre optic Chandelier is amazing giving an expensive colourful feel @ a reasonable price. 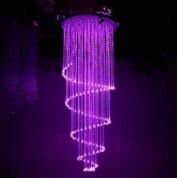 Our fibre optic chandelier THE SWIRL will shine beautiful colours in your Restaurant, Bar, Office, Lobby or even home. This fibre optic Chandelier is stunning giving an expensive colourful feel @ a reasonable price. 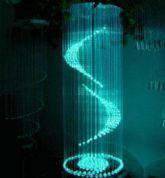 Our fibre optic chandelier WAVE CIRCLE will shine beautiful colours in your Restaurant, Bar, Office, Lobby or even home. 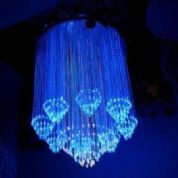 This fibre optic Chandelier is stunning giving an expensive colourful feel @ a reasonable price.